The photo id for this photograph is 43, in the Trains and Railway Lines album. 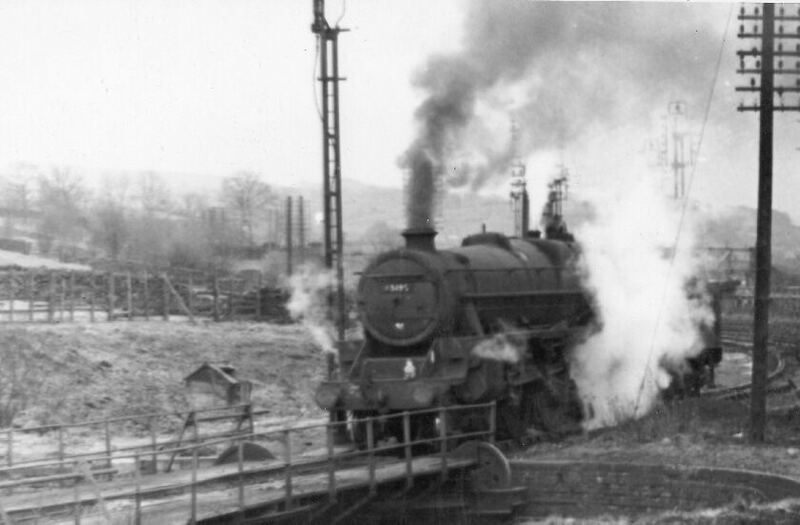 A Black 5 running on to the turntable in the Up yard, at Gowhole sidings. 1967.